It was pointed out to me recently that some people have taken to the internet to write extensive articles criticizing the science in the movie, which is very strange. First, I didn’t think too much of it, as Kip Thorne was not only an executive producer, but also a consultant on the film, and has also seen the film. Surely, if there was something wrong from a GR-point-of-view, he would point it out. After all, he did manage to get two original scientific papers out of working on this movie. 1. One would have to essentially be a “pinch” from the event horizon of the black hole. 2. The planet would not be in a stable orbit, and would spiral and crash into the black hole’s singularity point. This metric tensor describes the local geometry of the spacetime outside the region of a static, non-rotating, and spherically symmetric black hole/astrophysical body. J denotes the angular momentum and is absolutely key to understanding that the effect depicted in the movie is indeed very plausible. Therefore, as this shows, it is completely possible to have a rotating black hole with an observer outside of it that experiences such time dilation effects while still exhibiting a stable orbit, that is, it never crashes into the black hole! I chose to fix the angular coordinate for demonstration purposes only. Therefore, this calculation shows that the time dilation effect in the movie is perfectly reasonable and accurate. I will write more about the other aspects of people’s reviews later which on a first reading seem to also be based on incorrect assumptions, but at the present moment, I don’t have the time! This will no doubt please anyone who noticed the orbit in the first example seemed too small! This is invariant, and so is a singularity in every reference frame. Indeed, as r -> 0, the tidal forces become infinite. So, only past the horizon, very close to the singularity, do we have to worry about tidal forces from the black hole breaking anything up! 1. Even if I was to conclude that a spherical body orbiting a Kerr black hole will break up because of the tidal forces as described by the Roche limit, this conclusion is highly questionable without a 2-body GR approach because: you are assuming from the onset that the Kerr black hole remains spherical, and the mass in question has no effect on the Kerr black hole, so you are implicitly using a far-field approximation from the onset. 2. Newtonian gravity is linear, GR is not. Since there’s no 2-body problem analytic solution in GR, there is simply NO GR equivalent of the Roche limit. 3. The Roche limit is simply a result of Lagrange points in 2-body orbital Newtonian mechanics, and I prefer to leave it there. Adding GR corrections is not good enough. 4. In the Roche limit and the governing Newtonian regime, pressure does not generate any gravitational field, but, as you well know, in GR, pressure does contribute to the En.Mom tenor, and as a result the gravitational attraction. In fact, if collapse happen sufficiently far, the pressure growth goes exponentially and it is far more important than the rest-mass density. 5. 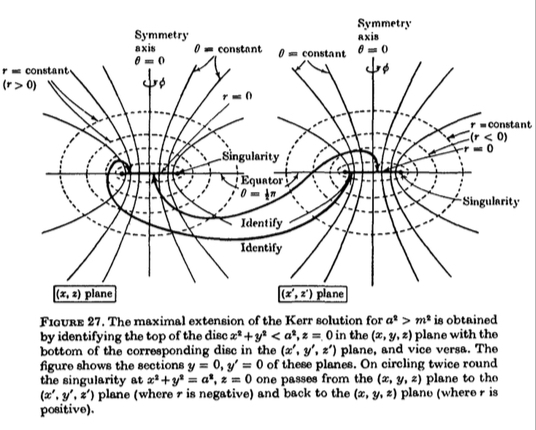 The real way to do this problem aside from considering a 2-body problem in GR, and getting an analytic solution, is to consider an internal Schwarzschild geometry in an external Kerr geometry background. But, because of the cross-term in the Kerr metric that one cannot transform away because of any coordinate transformation, the matching conditions are impossible to derive. If I on the other hand assume an external Schwarzschild geometry (which is not relevant for this problem, but…) then one obtains the well-known TOV equation. The TOV equation is essentially how one obtains the collapse conditions properly. 6. The Roche limit is a Newtonian result, and because of the linearity of Newtonian gravity, and the lack of pressure contributing to gravity, prevent any such effect in Newtonian physics. 7. The Roche limit arguments are always weak-field effects, which will not give you an accurate answer especially in this regard. It does raise an interesting question though. Why do you insist on using the Roche limit if the pressure influencing spacetime curvature (which would be significant because of the magnitude of the tidal forces) cannot be accounted for in this approach? It is in fact worse than this. If I have a significant pressure as implied by the Roche limit, then the En-Mom tensor is no longer non-zero, and one does not even have a Schwarzschild/Kerr or any other vacuum solution. 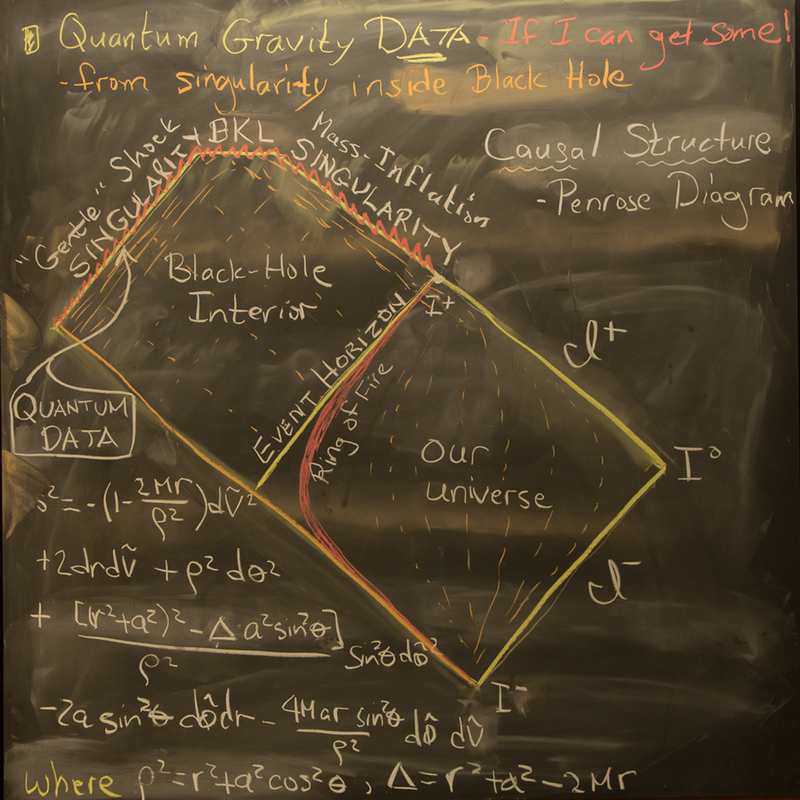 This now goes into the domain of cosmology, which makes this problem, much, more difficult. Finally, there are also issues having to do with causality, the fact that the governing structural equations in the Roche limit approach are elliptic PDEs (the Poisson equation) and the heat equation, which is a parabolic PDE. Both are acausal, in the case of elliptic PDEs, all solutions are spacelike, and no physical body would move along spacelike hypersurfaces. which is extremely, extremely negligible! Therefore, no one will die from the EM radiation emitted from the massive spinning black hole! So, I have received some requests to discuss the scientific accuracy of the last part of the film, where the main character, Cooper travels through the black hole and reaches a five-dimensional universe. Much of my discussion is based on the great G.R. books from Hawking and Ellis, Misner, Thorne, Wheeler, Gron and Hervik, and Wald. Therefore, while the singularity for a regular Schwarzschild metric is a point singularity from which nothing can escape, the singularity for a Kerr rotating black hole is a ring, which in fact, is avoidable! From this figure, we note the following remarkable property of the Kerr metric. One passes through the ring singularity in the rotating Black Hole by going from the (x,z) plane on the left to the (x’,z’) plane on the right of the diagram. It can be shown that, because of this complicated topology, closed timelike curves exist in the neighbourhood of the ring singularity. (For those that are interested, a complete discussion involving Killing vectors are detailed in Wald’s GR text). The significance of the existence of closed timelike curves is an observer traversing along these curves can violate causality, and thus go backwards in time by an arbitrary amount. Note that there are some issues regarding stability that I have not detailed here as they are much more technical than what is covered in this posting. These are both depicted in the movie. So, once again, anyone saying these are pure fiction/fantasy out of Nolan’s mind are mistaken. There are technical arguments involved giving mathematical conditions showing where these conditions would fail to work, but that is becoming too technical for a science fiction movie. The point is that in large, the theory of General Relativity supports these ideas, and it is all based on the idea of using a rotating black hole in the movie, it is the true centre of the plot! Note that the metric tensor on the bottom left-hand-corner is exactly the Kerr metric I described earlier. It seems that indeed the “quantum data” that is to be obtained from the black hole singularity actually is obtained from when TARS falls into the black hole and goes through the ring singularity. 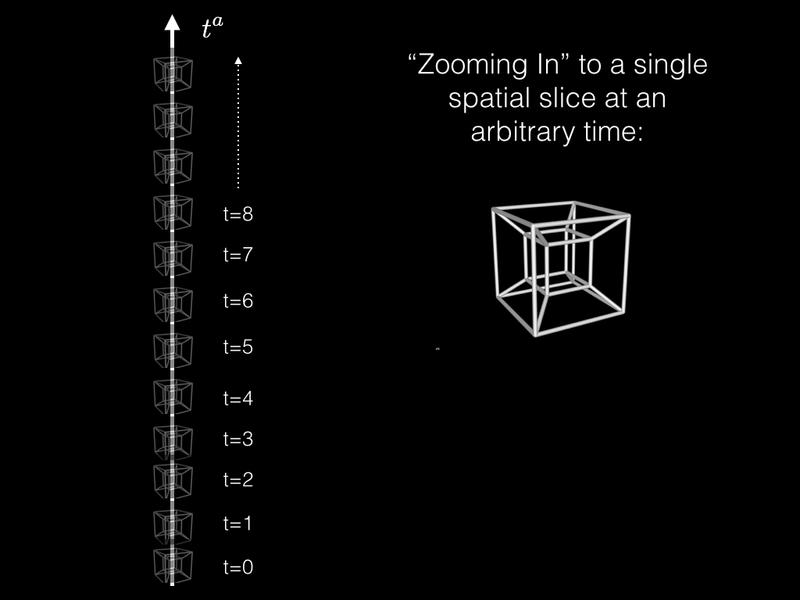 What’s interesting is that Thorne’s depiction here (which he drew according to the special features of the movie) actually show you where the quantum data would be with respect to the singularity in the above Penrose diagram.